Tammie Addley is an Occupational Therapist specialising in maximising the wellbeing of young adults. She works alongside them, often as a coach, helping them to do the things that are important to them and needed or expected of them in their daily lives. Tammie gets to know each young person she works with and assists them to set goals that will better enable them to cope with life. She works with their strengths as supports them to overcome their challenges – whether they be mental, physical, developmental, social or emotional. Perhaps most importantly, Tammie believes in them and their capabilities. While Tammie delivers the full range of occupational therapy support, she has special interest in acceptance commitment therapy (ACT), women’s health and maternity, stress management, relaxation, mindfulness, body image, self-identity, self-esteem and life skills for teens. She is well qualified and experienced. Tammie completed her Bachelor of Occupational Therapy (BOccThy) at The University of Queensland in 2002. 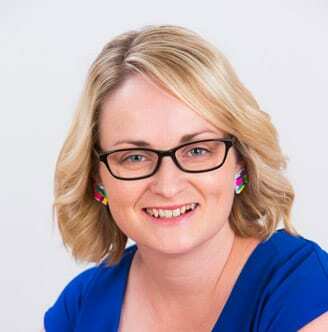 She has worked at the Mater Mothers Hospital, Mater Young Adults Health Service and Redlands Centre for Women in roles including Occupational Therapist, Program Coordinator and Community Support Worker. Tammie is motived in her work by the saying – ‘be who you needed when you were growing up’. She enjoys seeing young people grow and learn about themselves and providing the help to strengthen family relationships. She particularly values young people’s authenticity and honesty.